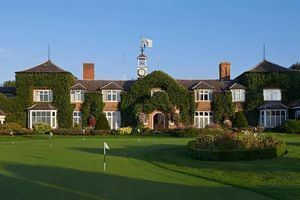 The 2019 UKI Conference will take place at the beautiful Belfry Hotel in Sutton Coldfield Birmingham, UK. The UKI Conference is always a great opportunity to meet with other UKI based firms, share knowledge and strengthen relationships. This year's event is no different, as we will look at some of the most interesting issues facing the accounting profession today. If you are a PrimeGlobal member you must be logged in to read more about this event and register as soon as possible! We are currently working on the agenda for this event. Find out about last year's event HERE. If you have any questions please contact Céline Lai at clai@primeglobal.net. If you are a visitor please click here to find out more about our global events and contact Stacey Sanchez for more information. Follow the event on social media with #EMEAUKI. Surrounded by 500 acres of countryside, this high-end golf hotel boasts polished, serene rooms with countryside or golf course views . The surrounding countryside creates a calm and relaxing atmosphere along with the 3 wonderful golf courses. Steeped in history, yet combining modern comfort, The Belfry is a complete leisure and golf destination combined with a superb range of facilities. Situated near the parish town of Sutton Coldfield in Birmingham; The Belfry is a perfect backdrop to the 2019 UKI Conference.